My name is Emily and I am a support player who is looking for a team. I play League of Legends when it first started and just started a new account last year after a break. 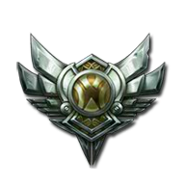 I am almost gold, but I can play any support. I am a college student and work full time. I am hoping that if I find a serious team, maybe I can make a career out of my passion of gaming.